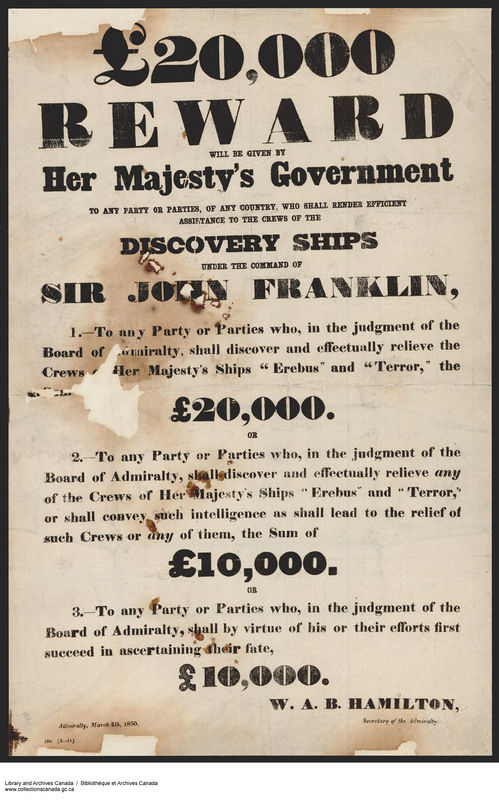 The story of the lost Franklin expedition is well known to many Canadians. Led by Sir John Franklin, the expedition comprised 24 officers and 110 men and set sail from Greenhithe, England, in May 1845 in search of the Northwest Passage. On board the HMS Terror and the HMS Erebus, the voyage initially progressed relatively smoothly. The crew made it to the Whale Fish Islands off the coast of Greenland to stock up on supplies, and arrived in Baffin Bay in July 1845. There, the captains of two whaling ships, the Prince of Wales and the Enterprise, saw the crew while waiting for favourable conditions to cross Lancaster Sound. This was the last time they were ever seen. What happened next is as horrifying as it is legendary. The crews of the Erebus and Terror spent the winter of 1845–1846 on Beechey Island, where three crew members died and were buried. Things would only get worse from there. In September 1846, the ships got stuck in ice off the coast of King William Island, where they remained for the winter and spring of 1847. By June 1847, Sir John Franklin was dead. The remaining crew, now captained by Francis Crozier, spent the rest of 1847 stuck in the ice, unable to continue their voyage. By April 1848, the Erebus and the Terror were abandoned and the remaining crew set off on foot for the mainland. All the men perished along the way, and it would be years before anyone would learn of their fate. 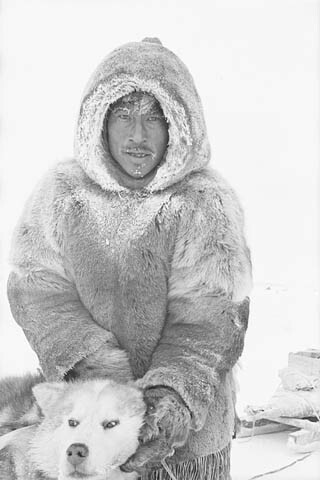 In the years immediately following the expedition, when no word from the crew was received, the British government made efforts to locate the men, offering rewards for information about their whereabouts or their discovery. The first mission dispatched to search for the Franklin expedition set off in 1848. The mission failed. No sign of the lost men emerged until 1850, with the discovery of their winter camp at Cape Riley and the graves of the men who died during the first winter on Beechey Island. 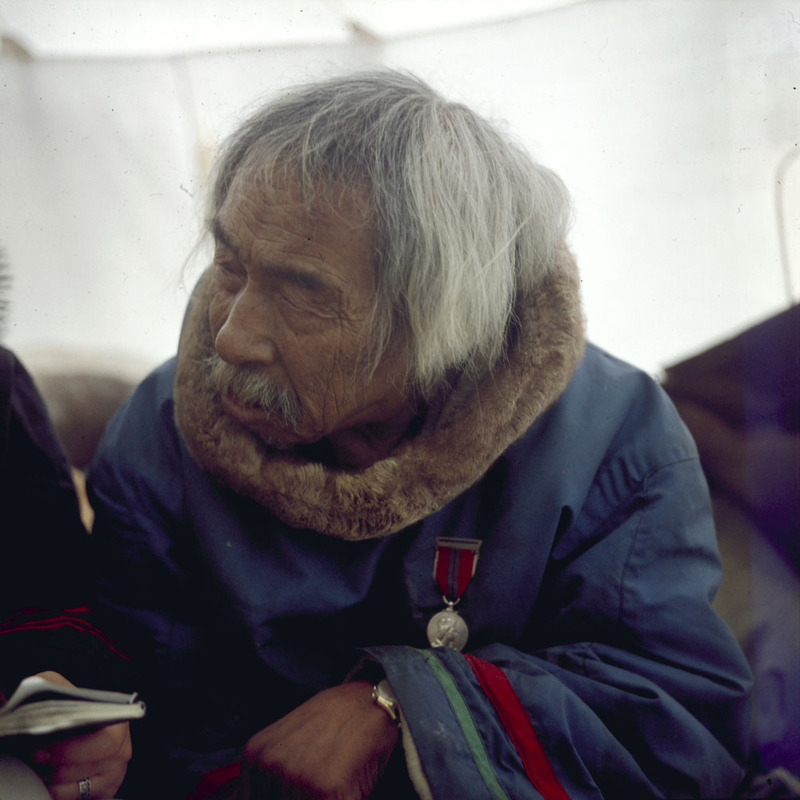 During an 1854 expedition sponsored by the Hudson’s Bay Company, John Rae arrived in the Boothia Peninsula, where he met an Inuit man who told him of a group of white men who had starved to death a few years earlier at the mouth of a large river. After speaking with a number of other Inuit people from the area, Rae was able to identify the Back River as the likely site of the sighting. 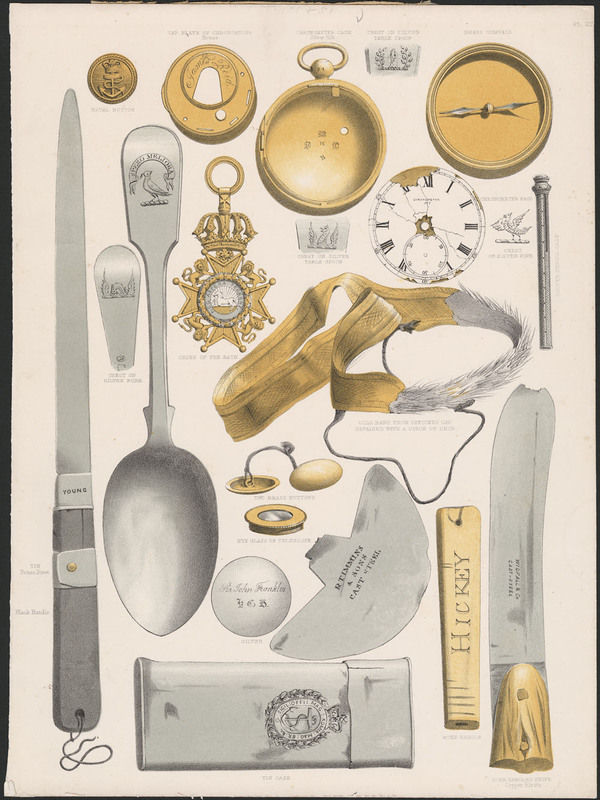 During this voyage, Rae acquired a number of relics belonging to the lost expedition, including inscribed silverware. Throughout the years, numerous expeditions sought to locate the lost ships and recover the bodies of the crew. RCMP patrols, intrepid travellers and archeologists attempted to uncover the fate of the men and to locate the abandoned ships. 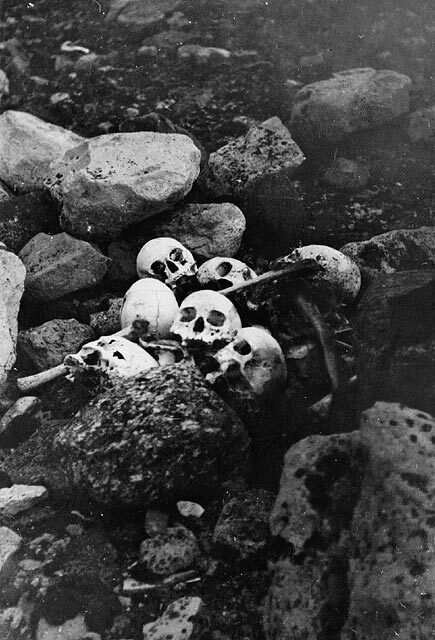 Graves, skulls and countless artifacts were located, but the ships remained hidden. Crews would search for ships, but it would take nearly 170 years for them be found. In 2008, the Canadian government launched a renewed effort to locate the wreckage of the Franklin expedition’s lost ships. 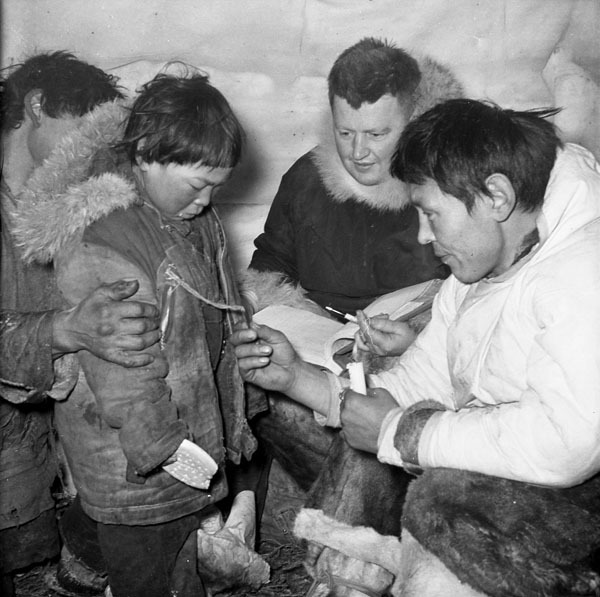 Working more closely with Inuit historians and local communities, these efforts would soon pay off. In September 2014, the HMS Erebus was discovered near King William Island in the Queen Maud Gulf. Locating this ship, which had eluded so many experts for so many years, was made possible largely because of the oral histories known to historian Louie Kamookak. Almost exactly two years later, the wreckage of the HMS Terror was located, thanks in large part to Sammy Kogvik, an Inuit hunter and Canadian ranger who joined the crew of the Arctic Research Foundation that lead search and recovery efforts. Without the assistance and knowledge of local Inuit communities, it is quite possible that the abandoned ships might never have been located. 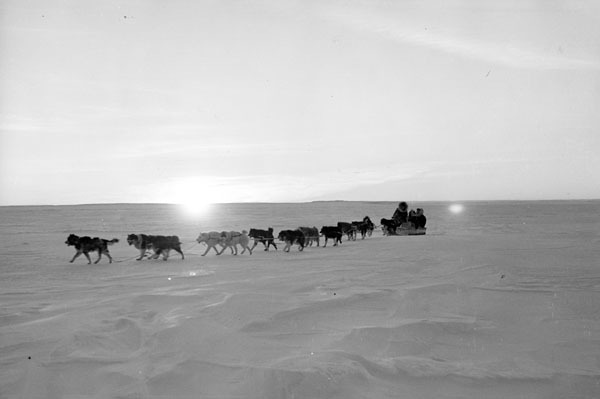 Library and Archives Canada holds a number of archival records relating to the search for the lost expedition, including journals kept by Francis McClintock during his four Arctic expeditions in search of Sir John Franklin between 1848 and 1859. For more information on the importance of oral histories and Inuit knowledge, David Woodman’s Unravelling the Franklin Mystery: Inuit Testimony is an excellent source (AMICUS 43188964). For an interactive experience about the plight of the crewmen and the role that Inuit communities played in the discovery of the wreckages, visit the Museum of History’s exhibition, Death in the Ice—The Mystery of the Franklin Expedition, on until September 30, 2018. Catherine Butler is a Reference Archivist in the Public Services Branch at Library and Archives Canada. 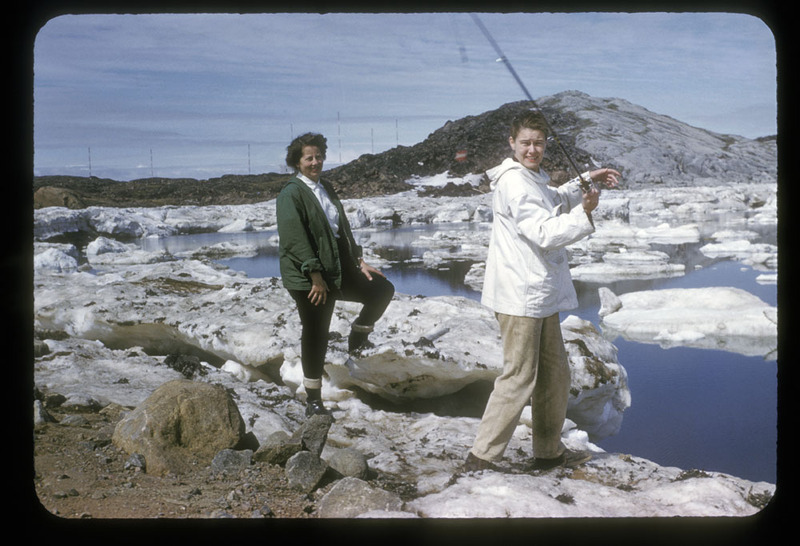 In June 1960, photographer Rosemary Gilliat (later known as Rosemary Gilliat Eaton), along with journalist Barbara Hinds, travelled across the Arctic. Northern Affairs Canada and the National Film Board of Canada sponsored her journey. 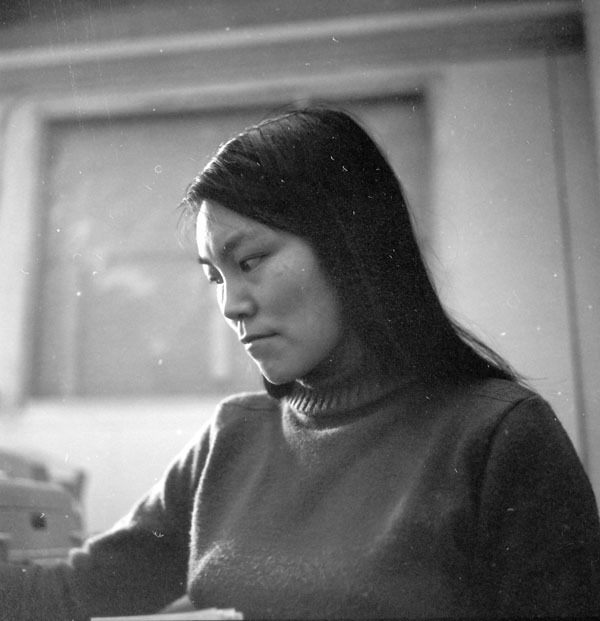 Her assignment in Iqaluit (formerly Frobisher Bay, Nunavut), Kuujjuag (formerly Fort Chimo, Quebec), Kangiqsualujjuag (formerly George River, Quebec), Killiniq (formerly Port Burwell, Nunavut), and Cape Dorset (Nunavut), was to take photographs of life in the north. During this period, Gilliat kept an extensive diary of her travels, describing the people, places, ways of life, events, and even the flora and fauna she encountered. As a practicum student at Library and Archives Canada (LAC) this term, I read the diary in full, taking note of important dates, people, places, and events. This will help improve the archival descriptions of Gilliat’s photographs in LAC’s collection. Many of the photos taken by Gilliat during this trip have been included as part of Project Naming, a LAC initiative that enables Indigenous peoples to engage in identifying the people, places, and activities in historical photos. 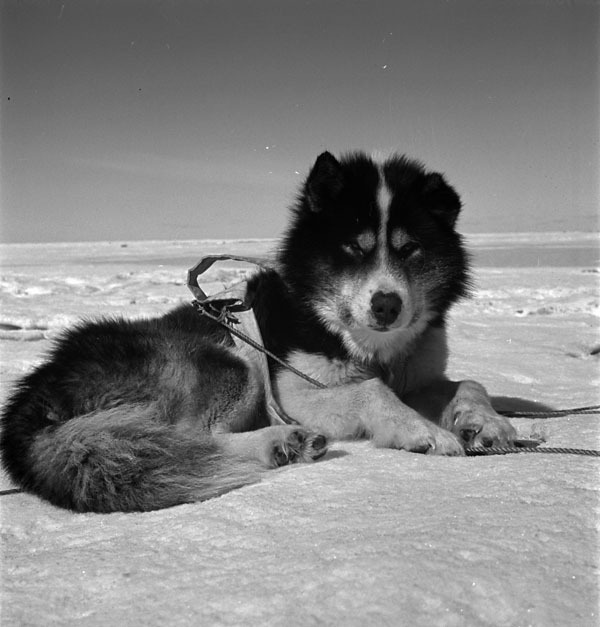 Gilliat’s 455-page diary and many of her photos from the Arctic will be available for the public to help transcribe, tag and describe in our new and upcoming tool Co-Lab! Gilliat’s diary describes many fascinating aspects of the Arctic in the summer of 1960, reflected in the almost-daily entries. 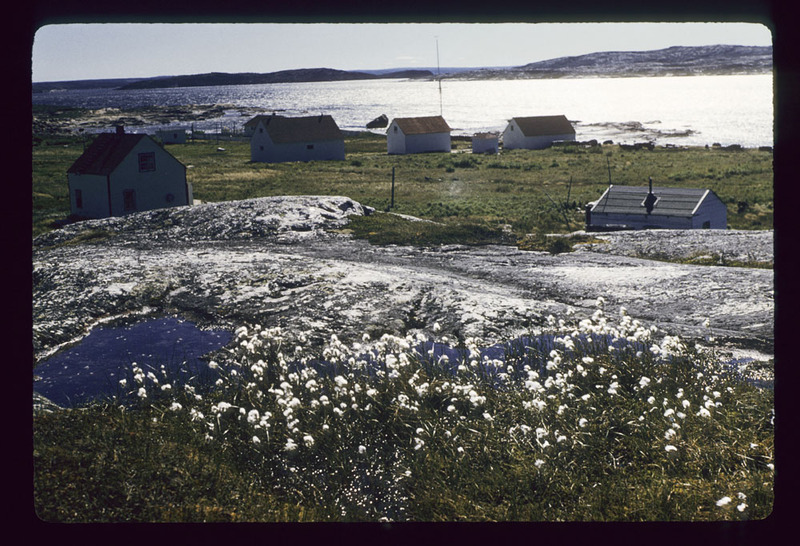 Gilliat describes the landscape of the north in spectacular detail, and particularly focuses on the Arctic flowers at the start of her travels, when she had not yet made many acquaintances. Her occasional frustration with friend and travel companion Hinds is relatable, and her frequent photographic mishaps (for example, forgetting to carry film) are amusing. The snippets of news from the outside world provide the reader with a glimpse of life at that time. For example, Gilliat receives news about the ongoing space race—Russian dogs Belka and Strelka successfully orbit the Earth and return from space in August 1960—prompting Gilliat to muse on when the world will see the first human in space, which would happen less than a year later in April 1961. Gilliat also takes note of women’s roles in the north, referencing the second wave women’s movement of the 1960s. Most importantly, Gilliat shares experiences with the Inuit of the communities she visits, accompanying members of the community while they fish for char, hunt for seals, and travel from one location to the next by boat or plane. Gilliat had a couple of near-death experiences travelling by boat through storms and ice, and was stranded a couple of times (once on an island for several days). In late August, she witnessed a beautiful polar bear swimming, only to realize that Eetuk, Isa, Sarpinak and Moshah, her Inuit companions, were going to kill it to provide food for their people. Gilliat’s expressive writing vividly explains her conflicting feelings on the event. The hunting expeditions and tumultuous sailing events are thrilling, but the quiet moments between Gilliat and Inuit friends stand out. 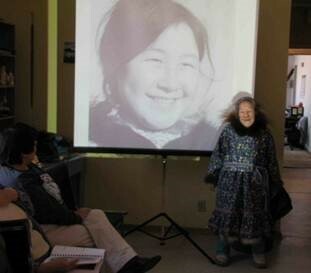 For example, in Cape Dorset, she meets Kingwatsiak, one of the oldest and most respected members of the community. Kingwatsiak invites Gilliat into his home and asks her to take a photograph of him. He also asks her to write a request on his behalf to Queen Elizabeth II. Kingwatsiak wishes for a photograph of her younger son, Prince Andrew, as his name (in English) is also Andrew. The letter is included in the diaries, and explains that he received a medal at the Queen’s coronation and travelled to Scotland as a young man and attended Queen Victoria’s Jubilee. He asks the Queen to deliver the photograph soon, as “I am now a very old man” and therefore may not have much time left. Although much of the terminology and ways of thinking are outdated, Gilliat’s descriptive anecdotes and direct observations makes the diary a joy to read. She remains objective but eternally optimistic, describing what she sees but never letting it dampen her outlook on the beauty of the Arctic and the kindness and resolve of its people. Katie Kendall was a practicum student (MA Art History, Carleton University) in the Exhibitions and Online Content Division at Library and Archives Canada. 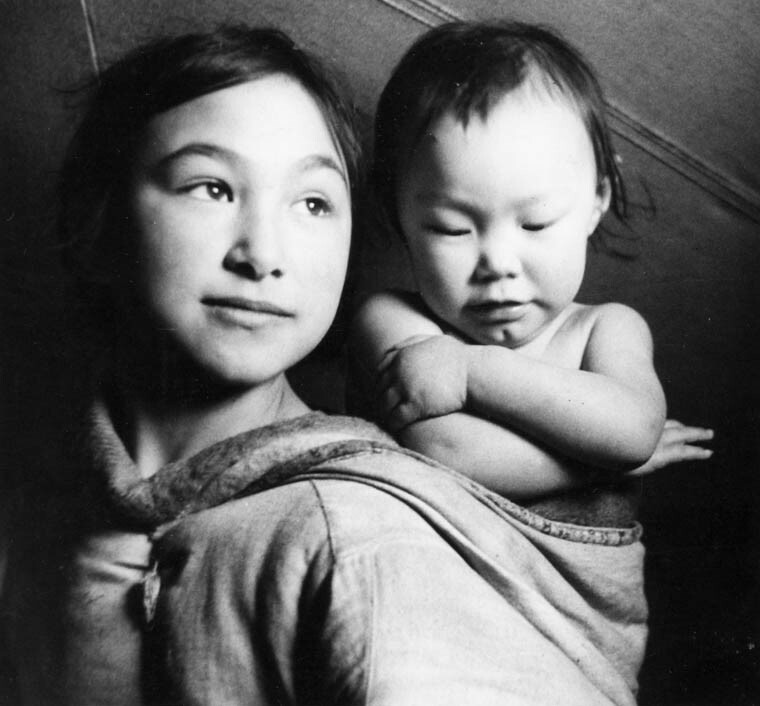 Today’s Inuit use a combination of Euro-Christian given names with Inuit surnames. This has not always been the practice. 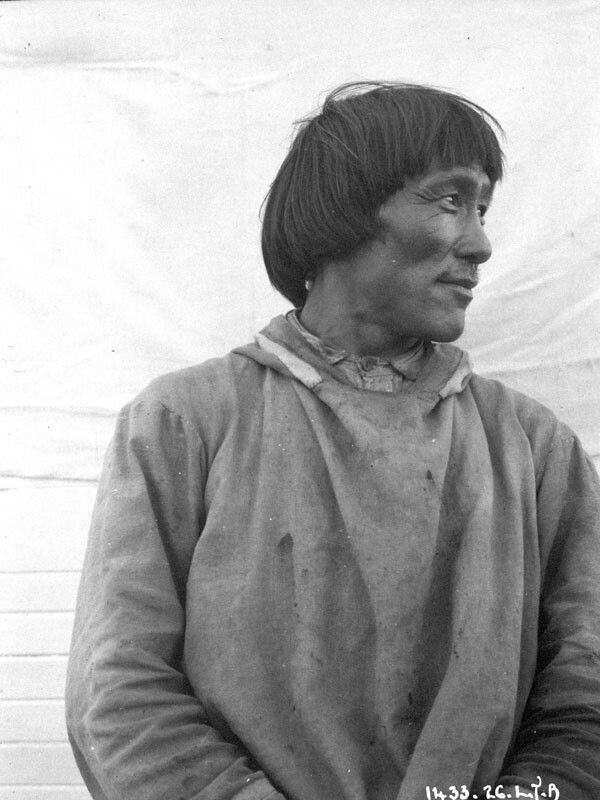 Prior to the first half of the 20th century, the Inuit did not use surnames. Traditional Inuit names reflected things of importance (family, spirits, animals, the environment) and were neither gender-specific nor recognized shared family names. 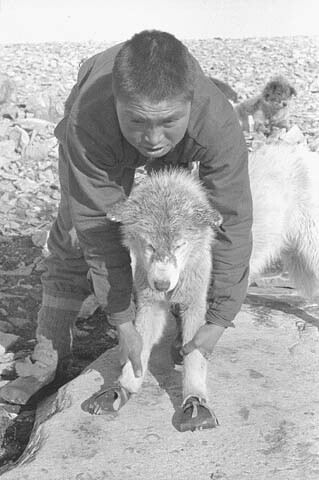 By the 1920s, there was a push by missionaries, fur trade employees and government officials to identify the Inuit in accordance with European norms and the patriarchal social model. These groups believed that the lack of surnames and consistent spelling made it difficult to identify each Inuk for trading, census information, and other records. 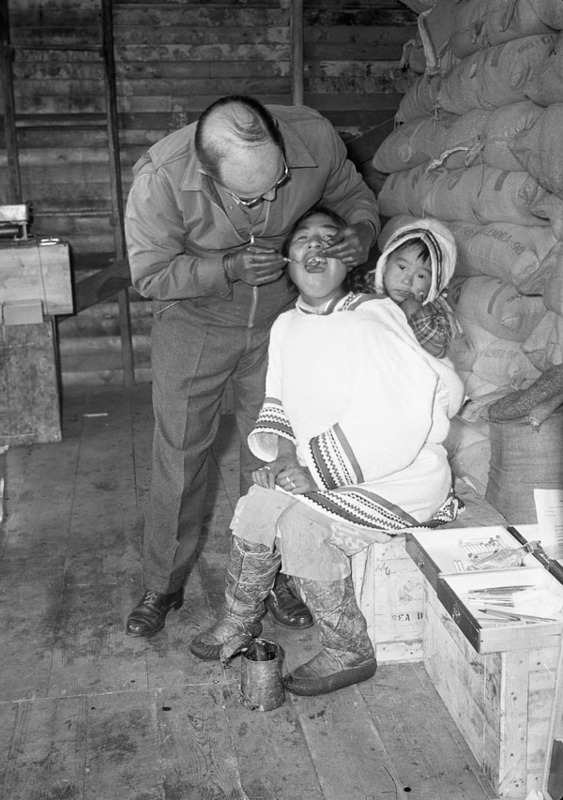 The introduction of disc numbers was implemented not only to identify Inuit, but also to administer the distribution of family allowance, other benefits, and health care. At the time, several suggestions were put forward to the federal government such as introducing a binomial naming system with family names, standardizing spelling, creating individual RCMP files and obtaining fingerprints of each Inuk. The RCMP started fingerprinting but it was not well-received, largely due to its association criminal activity. 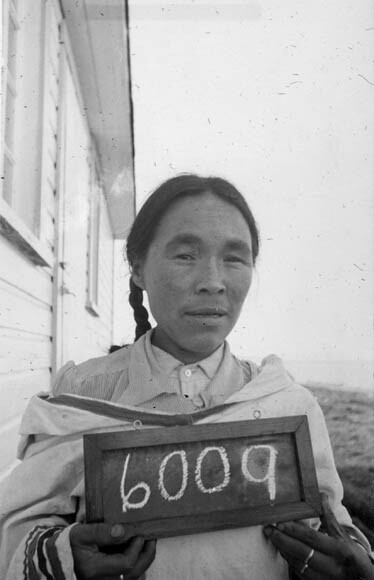 Finally, in 1941, the federal government chose to register each Inuk with a unique numeric identifier, which was stamped on a disc or printed on a card. 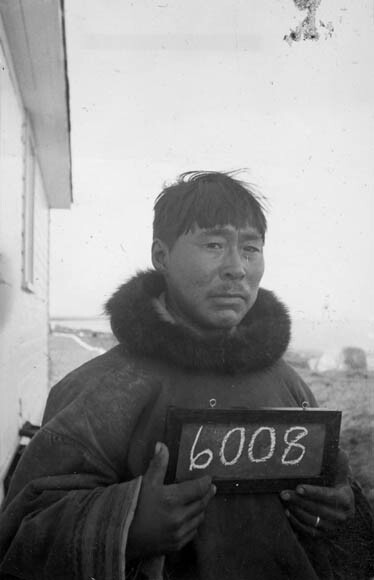 These identifiers were often called “Eskimo disc numbers” or ujamiit (ujamik) in Inuktitut. The Inuit were required to carry these numbers on their person, so they were often sewn onto clothing or hung from laces around the neck. These numbers were used until 1972 except in Quebec where the practice continued for a few more years. Following are three photographs of a family taken sequentially holding their disc number that was written on a chalkboard. From 1968 to 1971, the federal government with the Northwest Territories Council undertook to change the identification system from disc numbers to the use of last names under Project Surname. This project was headed by Abraham “Abe” Okpik who toured the Northwest Territories and northern Quebec (Nunavik) with a linguist. Library and Archives Canada holds evidence of the disc number system in photographs and documents, such as lists of individuals and their disc numbers, as well as lists showing the transition to surnames and social insurance numbers. Note that these records are restricted as they contain personal information. 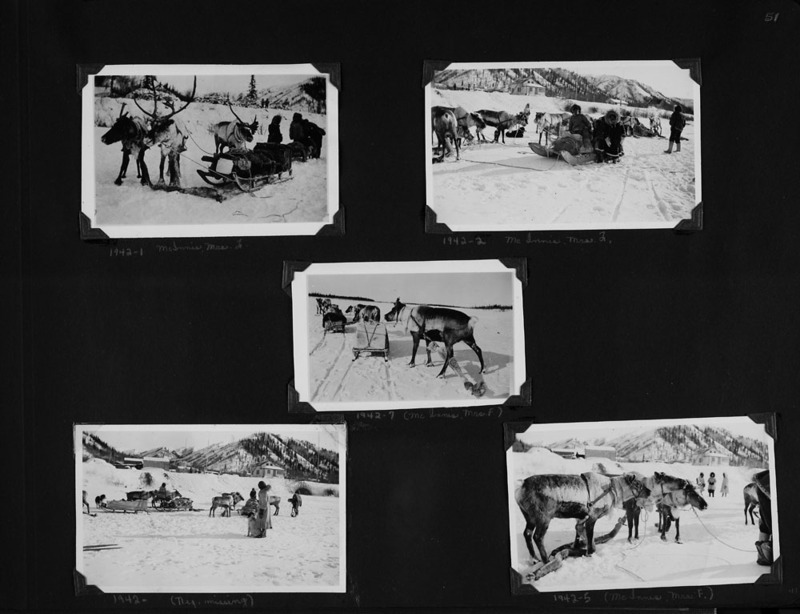 In the early 1900s, the introduction of reindeer to Canada was seen as a possible way of supplying food and bringing an economic boost to remote northern areas of the country. This animal had been domesticated in many other northern nations and had played an important role in sustaining the population. While reindeer meat, milk and other bi-products such as hides and horns can provide resources vital to life, these animals are also strong—packing or pulling heavy loads great distances. As well, they are naturally adapted to the northern climate and environment. 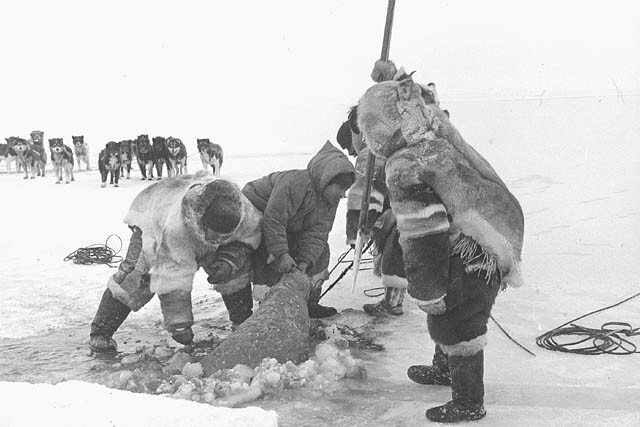 Several efforts to introduce reindeer to Newfoundland and Baffin Island had early success but the most successful example was the Alaskan experiment. The American government, urged on by missionary groups, purchased 1,200 Siberian reindeer from Russia between 1892 and 1902. Another small herd was bought in Norway and shipped to Alaska, along with a group of Lapp herders and their families, hired to manage the animals and train the local indigenous population to become herders. Canada’s government began to study the results of the American experiment. A Royal Commission on reindeer and musk-ox was appointed in 1919. The dramatic growth of the Alaskan herd was impressive, several hundred thousand deer, spread across a hundred herds, with several hundred local indigenous owners and herders engaged in the enterprise. Fresh meat was now available for local consumption, and sold to the southern states for profit. Many groups pressed the Canadian government for action, resulting in plans to purchase an Alaskan herd and move it to a suitable site in the Northwest Territories. 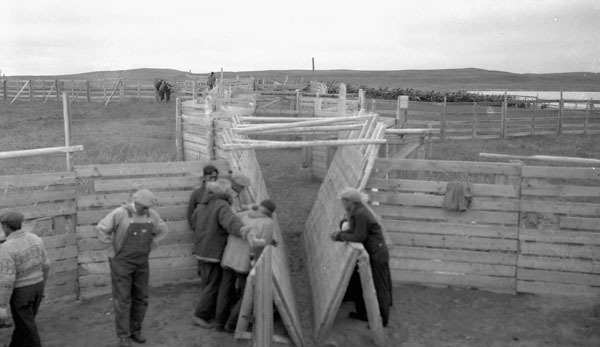 Two Interior Department botanists searched for a location with good grazing, recommending a headquarters be established (to become known as Reindeer Station) east of the Mackenzie River delta. A contract was signed with the Loman Bros. Company for purchase and delivery of 3,515 animals at a price of $150 a head. The reindeer drive was expected to take 18 months and cover 1,500 miles but incredibly it took five years and travelled twice the distance. 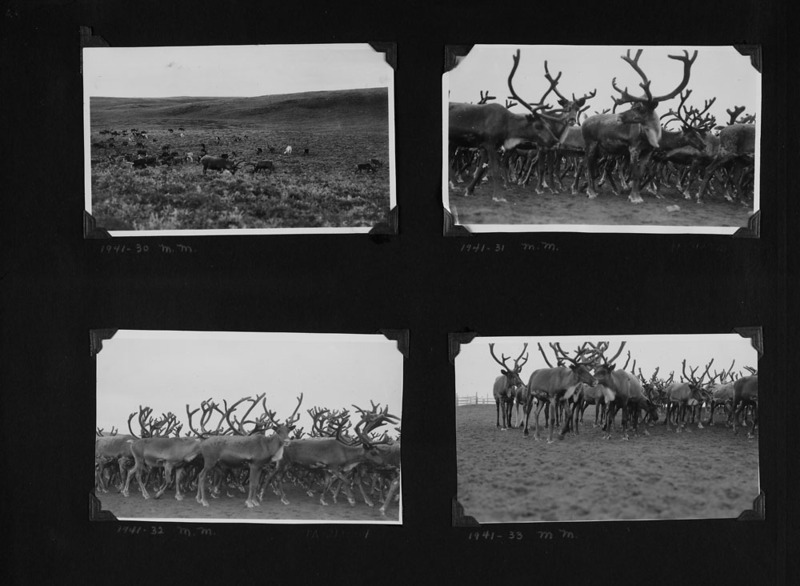 In March 1935, Andy Bahr and his crew delivered 2,370 reindeer. Shortly afterwards, 811 fawns were born, bringing the final total close to the initial target number. 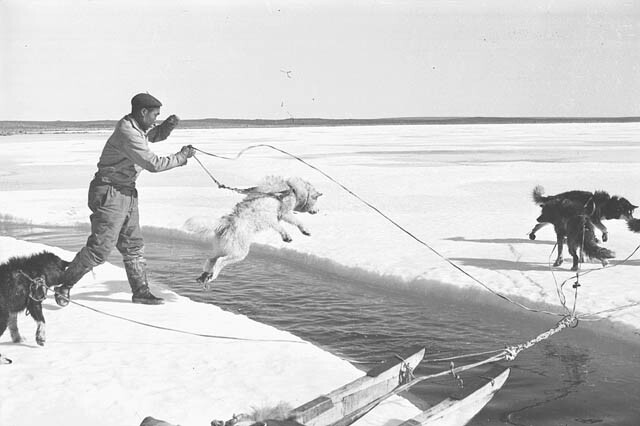 The early success was followed by a series of setbacks, culminating in the death of four Inuit owners and a Lapp trainer in a boating accident in 1944. 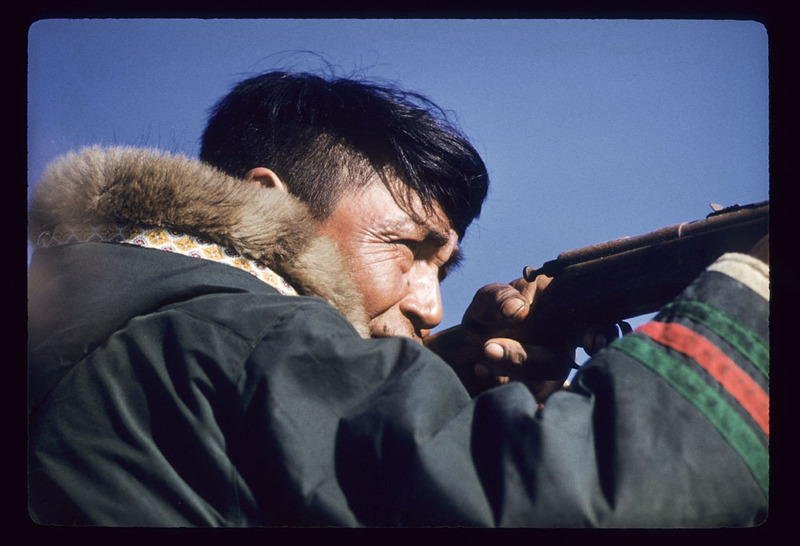 It became more difficult to interest traditional Inuit hunters to abandon their customary lifestyle for the often lonely and monotonous life of a herder. Months of effort could be overturned in a moment as storms or predators could cause a stampede resulting in the loss of many animals. 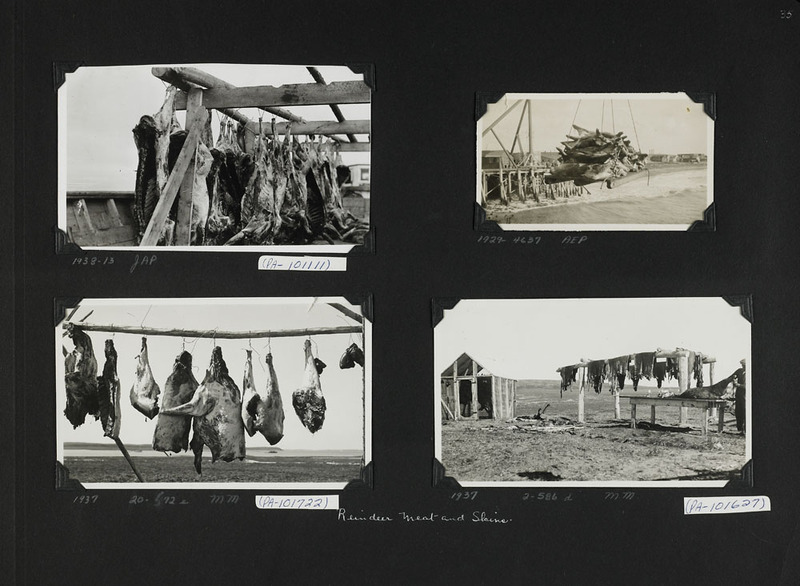 As with the other Canadian experiments, the Reindeer Project did not achieve the success of Alaska’s venture. 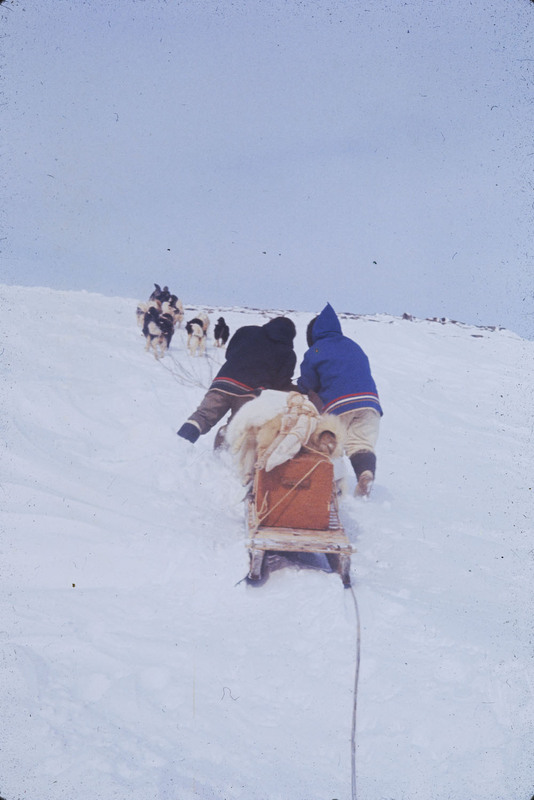 The herds under Inuit control were passed back to government control and the Canadian Wildlife Service administered the operation until 1974, at which time it was sold to a private owner, Canadian Reindeer Ltd., and remains a private operation today. Although the ambitions of early advocates have not been achieved, the efforts form an interesting piece of Canada’s northern history. Explorers and travellers have long been documenting their Arctic adventures in diaries, manuscripts, maps, sketches and watercolours. Their accounts portray the Arctic as a mystical land, whose inhabitants and way of life seem unspoiled, and this imagery was further disseminated to audiences abroad with the invention of the photograph. 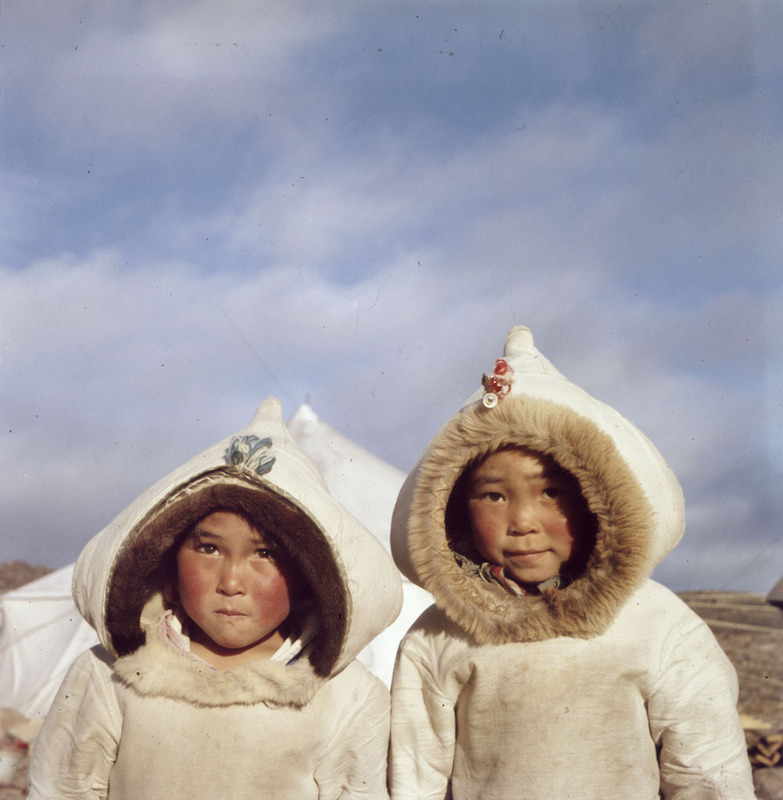 The following photographs are part of the Arctic Images from the Turn of the Twentieth Century exhibition presented at the National Gallery of Canada. Featuring material from Library and Archives Canada’s collections, the exhibition showcases rarely seen images, which document photographers’ travels in the Canadian north. In many cases, these images present a romanticized view of the people and places. One of the earliest images is this photograph of a hunter, taken by George Simpson McTavish while he was stationed at the Hudson’s Bay Company at Little Whale River, Quebec, in 1865. The majority of photographers who ventured to the Arctic regions were men, and for the most part, were employed by the Hudson’s Bay Company and the Canadian government. Geraldine Moodie was one of the few female photographers. 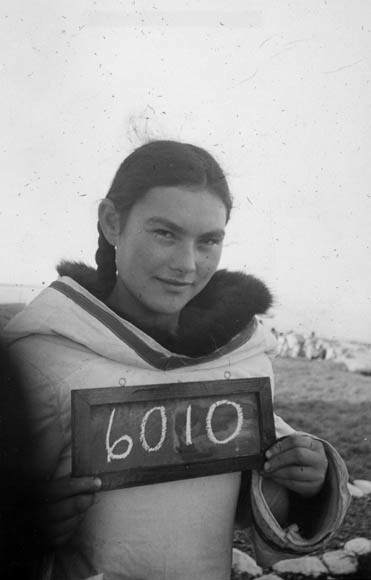 She had a successful photography studio prior to moving north with her husband when he was posted to the North West Mounted Police station in Fullerton (Qatiktalik in Inuktitut), Nunavut. 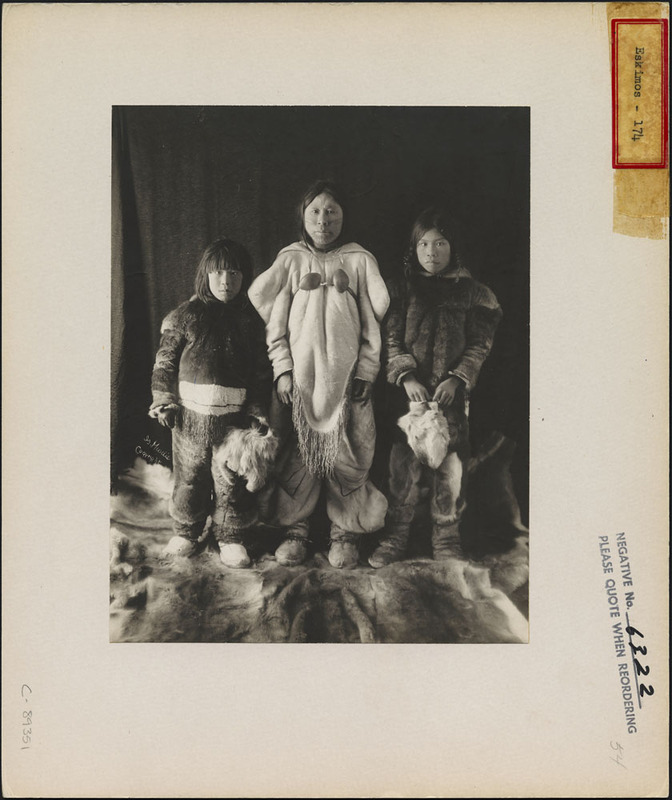 Her portrait of an Inuit widow and her children, taken around 1904, is a good example of her beautifully composed images. 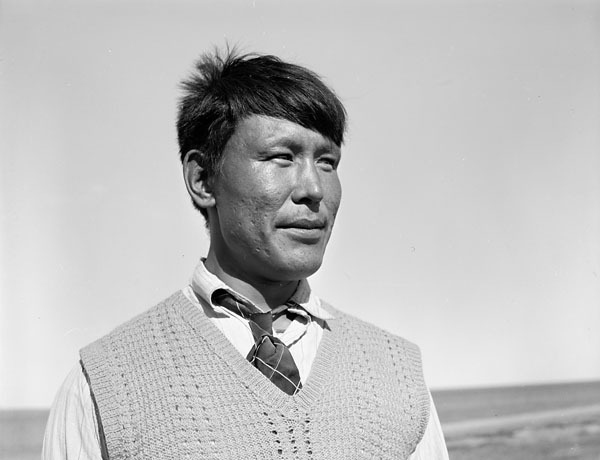 The vast majority of photographs of Inuit emphasized the ethnological attitudes of the era by presenting them as “types,” such as this 1926 image of an unidentified man. 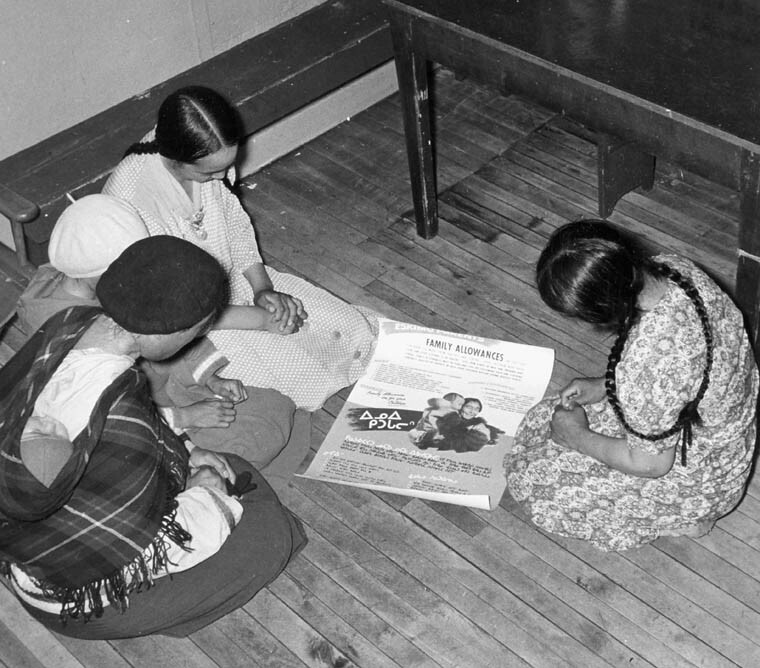 In other cases, Canadian government staff took photographs to highlight federal government initiatives and policies, such as this 1948 image of four women looking at a family allowance poster. Below it, also from Health and Welfare Canada’s Medical Services Branch, is the portrait of Bella Lyall-Wilcox carrying her baby sister, Betty Lyall-Brewster. Taken in 1949, the lighting and composition of this portrait link it aesthetically to the pictorial tradition of the majority of photographs in this exhibition. 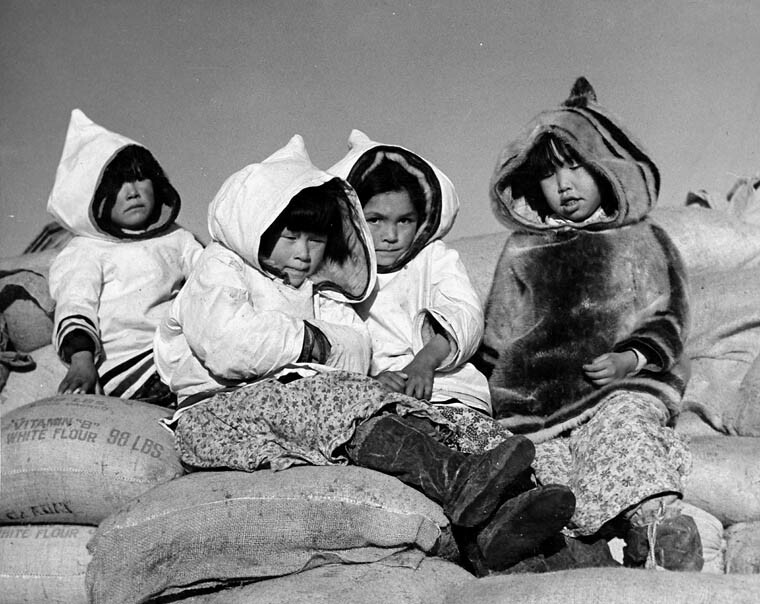 The Arctic Images from the Turn of the Twentieth Century exhibition opened on March 14, 2014, and will continue until September 1, 2014, at the National Gallery of Canada. 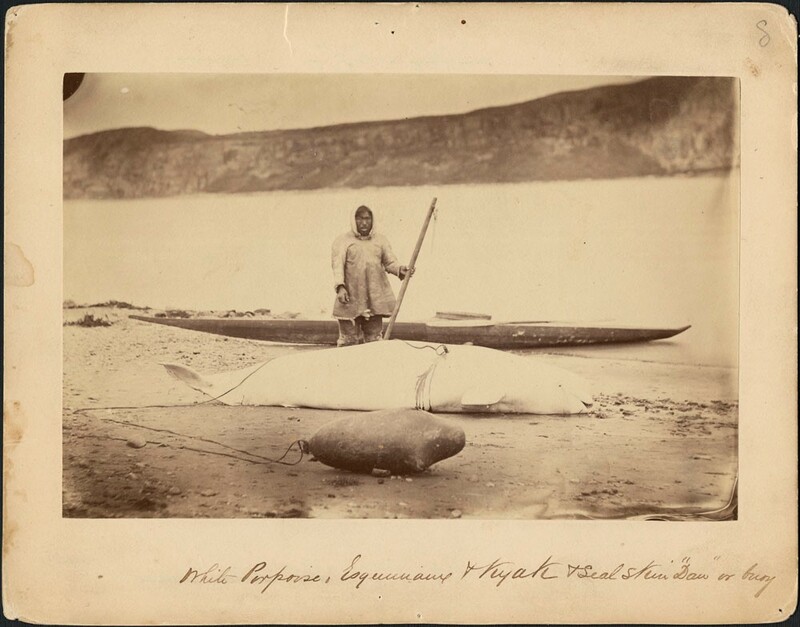 For more information about LAC’s photographic collections portraying Inuit and the Arctic, visit our Project Naming web page.